I have received a number of e-mails asking for information about this photo. 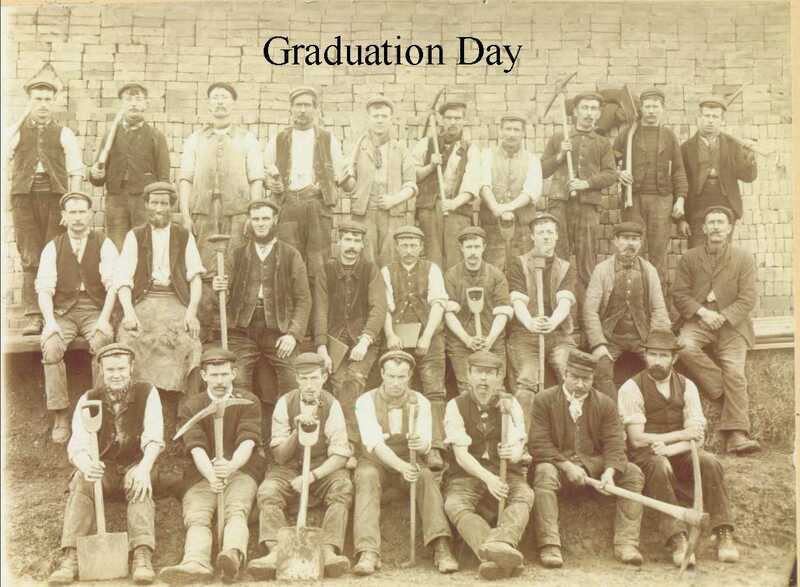 Well all had the 'ability' to become 'High Ranking Lawyers' and 'Judges' but at the time of this photo they were members of a 'navvy gang' that laid the first 2" lead water main that ran from Longfield to Fawkham Green in North Kent, England. This photo was taken in 1901 (long before the coming of the JCB) at the Longfield Brick Farm, hence the 'bricks' in the back ground.